After an unusually wet spring, we have a ton of flowers…and leaves…and growing things (and weeds! But let’s look on the bright side, shall we?). 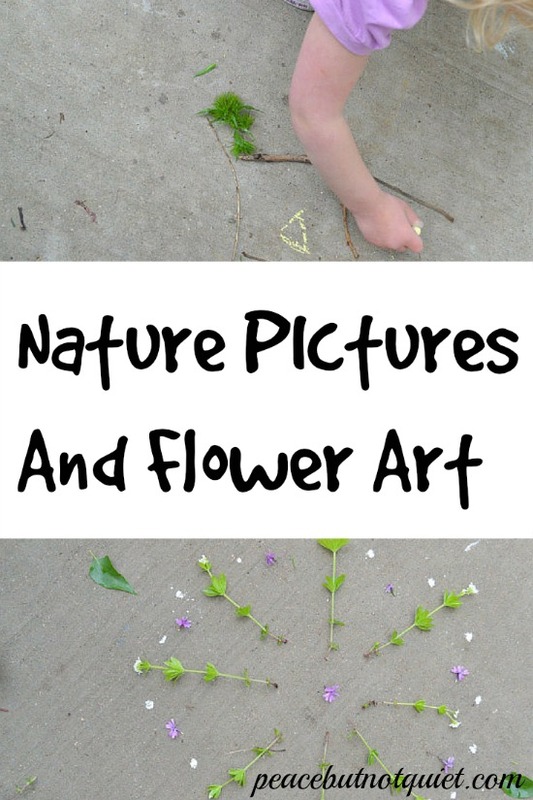 We collected a bunch last week and made some flower art, which I’m sharing over at In the Playroom. Check them out! And if you make any of your own, I’d love to see pictures on our facebook page. Thank you for visiting Peace but Not Quiet! Be sure to sign up for the newsletter and get a free printable — 31 Ways to Connect With Your Kids.